This play is designed to overwhelm the secondary. The safteies will have to decide if they are going to come down and get the underneath routes or cover the two deep routes. The W receiver has an option of cutting off his route if they blitz. 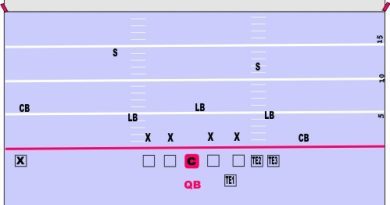 The QB needs to be aware that he is the hot read or outlet receiver. 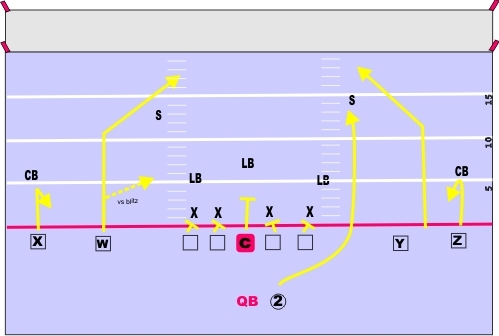 The RB (no 2) can also be a hot read if a blitz comes from his side. He can either pick it up, or let them through and get a screen pass.